Dance India Dance is set to return with an all-new season with Bosco Martis as the judge. Will Punit Pathak and Raftaar join him? Dance India Dance is all set to come back to your television screens with a new season. Titled Battle of the Champions, the dance reality show is tentatively scheduled to go on air in June 2019. Choreographer Bosco Martis has joined the Zee TV show as a judge. Recently, we told you that rumours of Sonali Bendre joining DID are abuzz. 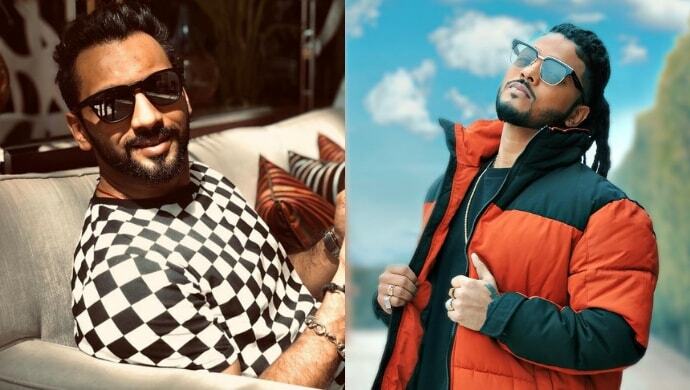 Latest developments suggest choreographer-actor Punit Pathak and rapper Raftaar might follow Bosco too. Our sources tell us that Punit and Raftaar are in the running to appear as judges on Dance India Dance. Albeit this won’t be the first time Punit shall be on the panel. He had previously mentored contestants during DID season 5. In fact, Proneeta Swargiary of his team Punit ke Panthers had emerged as the winner of the competition. It is mention worthy that Punit started his career with the same show. Punit was the second runner-up of Dance India Dance season 2. After clinching victory in two reality shows back to back, looks like Punit might greenlight another one soon. However, it yet remains to be seen if Sonali, Punit, and Raftaar shall really feature on Dance India Dance as judges or all of this is a fragment of somebody’s imagination. While we keep our fingers crossed, tell us in the comments box below if you’d like to see Punit, Raftaar and Sonali on Dance India Dance. In the meantime, don’t miss any episodes of your favourite TV show and watch them for FREE on ZEE5. What Are Your Weekend Plans? We Recommend A Popcorn Bucket With Ranveer Singh's Film Simmba!